Consistency with sizing is really important for your handmade brand. You want customers to be confident when they buy from you, that the size they’re purchasing will fit. Including finished garment measurements in your listings is one way to help customers out, but trying to ensure consistency across your range is also important. This can be difficult to do when the patterns you’re using are made by different brands working off different measurement charts, BUT just because you make a size 2 from a particular pattern doesn’t mean you have to sell it as a size 2. I still remember how sick I felt the first time I received an email from a customer telling me a dress I had sold her was way too big. It hadn’t occurred to me before then, that re-interpreting the fabric and styling of a pattern would change the fit people would be expecting. I had been making a dress, that was intended by the pattern designer to be layered and made from winterish fabrics, from light cottons and styling it as a summer dress instead. After that I realized I couldn’t always label items with the size the pattern had on it and I started comparing finished garment measurements to “my standard” and labeling accordingly. 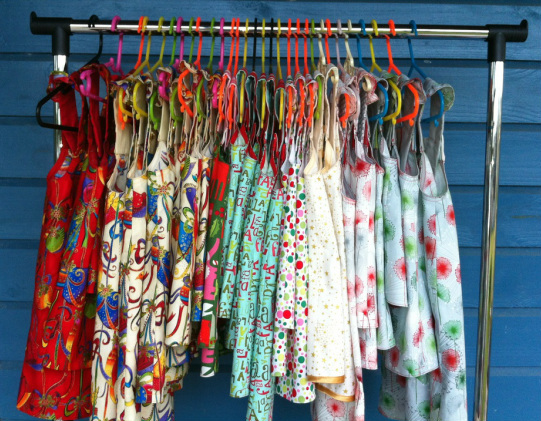 The trick can come about if a popular pattern you’re selling items made from, has different sizing to your standard. In this situation I’d consider putting both sizings in your listings, if you have customers who might be more familiar with the pattern sizing, than your sizing. Unfortunately, there is no one standard measurement table that all designers follow, however within a particular brand the sizing should be consistent. You might be a size 8 in one shop and a size 12 in another shop, but you would hope you’d be the same size within the one shop. This is not always the case however, as another important factor that can effect sizing is fit and ease. I have some tops that are labelled as size small from a shop where I’m generally a size large and at first I was mystified as to how they could ever be considered small and assumed it was a labeling error until I realised that the designer and brand and current fashion trends intended them to be loose fit, whereas I prefer to wear them as tighter fitting tops. In simple terms ease is how much roomier the outfit is than the body that goes into it – it is influenced by comfort and style. So you would expect a caftan would have more “ease” than a cocktail gown. If you tried on a caftan which was as tight as a cocktail gown you’d probably go up a size or three! Certain outfits require more ease so that you’re able to comfortably wear them. Outfits with sleeves, certain openings, for wear by people of different ages or gender or made from different fabrics or many other circumstances will require different amounts of ease or fullness. Sometimes ease can also be influenced by personal preference and fashion trends. You might like to wear your dresses looser and more flowy than someone else (or the current fashion) and so you might choose a different size to wear than another person with the same body measurements as you. A good way to gauge the ease a pattern designer has included in a pattern is to compare finished outfit measurements to the body measurements of a size or to look at a PR picture for that item. If you look at pictures I use for PR for the Bow Peep dress you will see that it’s a fitted dress on slim/average sized girls, if you’re wanting it to be a looser fitting dress you would be advised to make a bigger size for models of the same size. One Thimble does not have staff designers, so one of the early decisions I made was to encourage contributing designers to stick to the same layout and sizing that they usually use, when submitting patterns to One Thimble. The only thing I ask them to change is to condense their tutorials to fit the e-zine layout. The reasoning behind this decision was I want readers to be able to “try out” designers when they buy One Thimble. If you discover a new favourite designer through One Thimble you can then “follow” them back to their store to find more of their work without worrying that their other work might be very different to what they’ve contributed to One Thimble. I see this as one of the strengths of One Thimble, that in each issue you’ll discover the work of different designers and get to experience what their brands are about. Here are a few examples from issue 3 where you might choose to adjust sizing for brand consistency. With the Stardust pattern, Laura from Ellie Inspired, provides two versions of the pattern. The slim fit version is closer to the sizing I generally use for my party dresses and the regular fit version is her standard sizing. 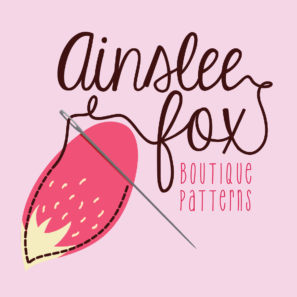 If you generally use similar sizing to my Ainslee Fox patterns you’d probably follow the slim fit sizing, if you find there’s not enough ease for your brand and styling in my usual party dresses, you’d probably choose to follow Laura’s regular fit sizing. For the BT Tunic I designed it to be a looser fitting style tunic and added more ease to it than I have in my party dresses, but if you’re looking for a slimmer fit tunic or choosing to style it without a skivvy underneath, you might decide to mix a smaller bodice with the usual body panels or change the sizing completely so my size 3 will become your size 4 etc. The key is to make the patterns work for your brand even if that means changing the sizing to be consistent across your brand. 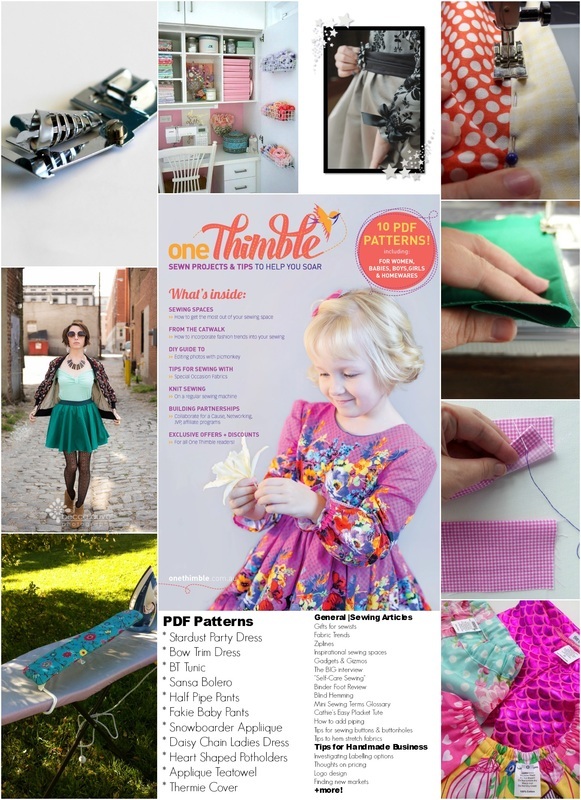 One Thimble aims to give you a “library”of patterns to use and adapt for your handmade business. Don’t feel constrained by our styling, sizing or fit – One Thimble is here to help your sewing soar no matter what stage you’re at! 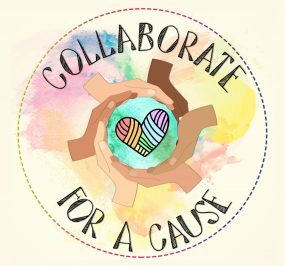 Contributor call-out for issue 4! The last few days have zoomed by in a whirlwind of excitement. Issue 3 was released on Friday and has been our most successful release to date! Seeing creations made with Issue 3 patterns already popping up has been extremely exciting and we’re looking forward to seeing many more over the next few months. Crazy as it might sound planning for Issue 4 & 5 has already started! We want each issue of One Thimble to introduce our readers to pattern designers & article writers they might not have come across before, which means ………….. we need you! * Are you a pattern designer with an established business looking for new marketing opportunities? 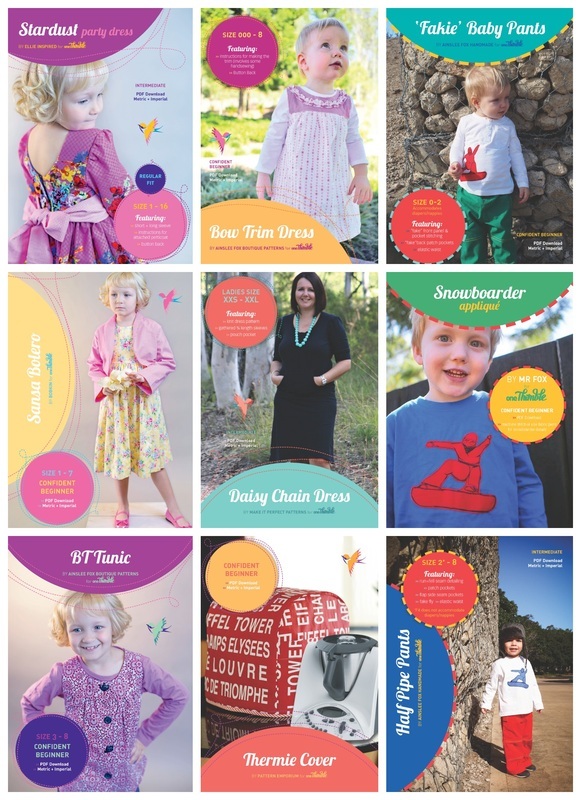 * Are you a new pattern designer looking to introduce your work to the pattern loving public? 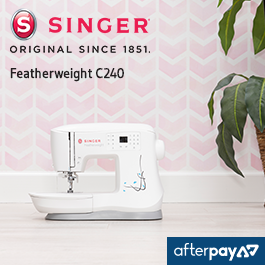 * Are you a sewing enthusiast with a desire to share your knowledge and passion with the world? 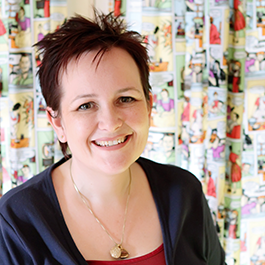 * Are you a sewing or handmade business blogger who’d like to connect with new readers? YES! 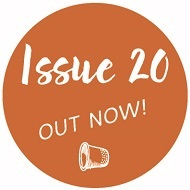 – Then we’d love to have you be part of One Thimble Issue 4! One Thimble aims to inspire enthusiastic home sewists whether they’re sewing purely for pleasure or to make money. One Thimble aspires to be the “go to” resource for todays sewing enthusiast, a resource that will help them discover new and new to them pattern designers, bloggers, teachers and business owners. I look forward to working with you to make Issue 4 our best Issue yet! I’m so excited about Issue 3! There’s so many firsts in this issue. 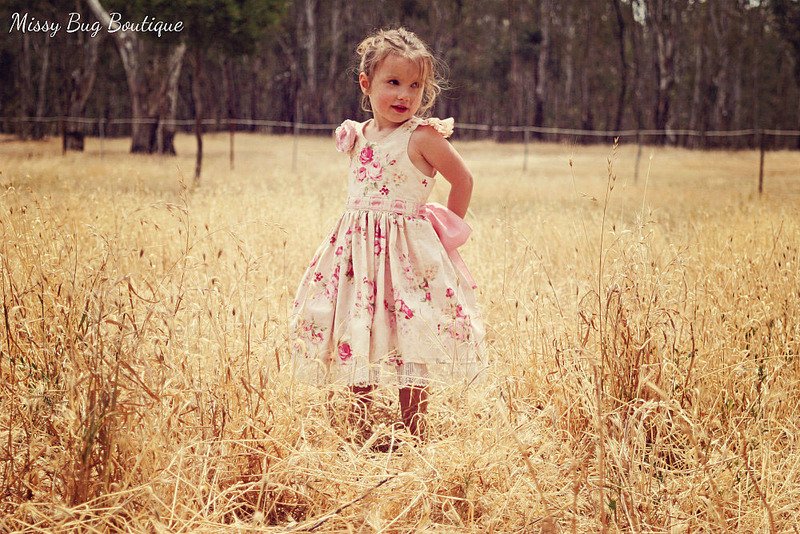 It’s the first time we’ve had an international designer contributed (Laura from Ellie Inspired – check out her gorgeous Stardust dress on the cover), its the first time we’ve included a ladies pattern (Toni from Make It Perfect’s spectacular Daisy Chain dress) and its the first time we’ve had a blogger contribute a tute (Marnie from Horris & Deedle’s wonderful scrap busting tutes). 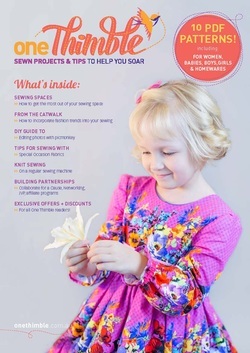 Issue 3 is absolutely full of entertaining and informative articles ranging from Becca’s article on how to incorportate runway trends into your home sewing to Kristie from Boo Designs article on how to use a Binder Foot on your sewing machine. Be sure to check out our free sneak peek e-zine to find out more about what’s included and to see our tester photos.